Health insurers and pharmaceutical companies are pointing fingers at each other for the rising cost of prescription drugs as scrutiny over drug spending intensifies. Taking a tip from UnitedHealth Group, Aetna on Tuesday said it would pass on drug rebates to its fully insured commercial plan members at the pharmacy checkout counter. The move could help about 3 million plan members save money, the company said. 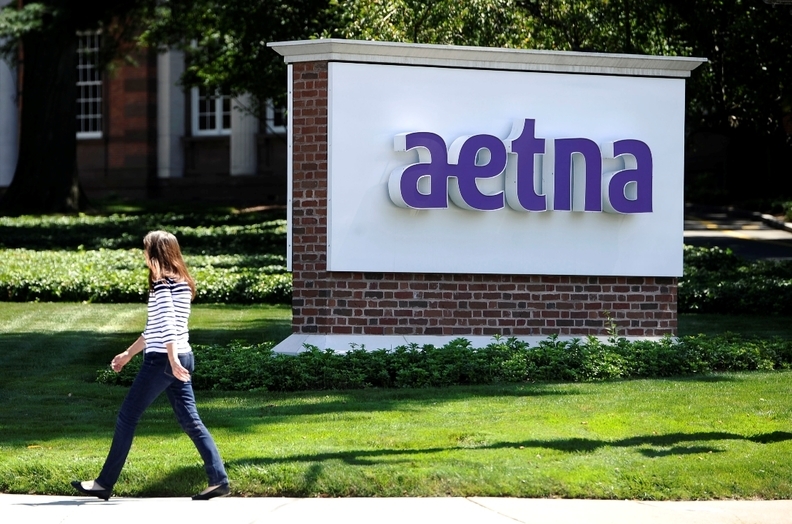 Aetna's total enrollment tops 22.2 million. The blame game comes amid increasing government attention to drug prices and manufacturer profits. The Senate Homeland Security and Governmental Affairs Committee this week released a report saying prices for 20 brand-name drugs prescribed most often to seniors increased 12% each year for the past five years, and the prices of 12 of those most common drugs increased more than 50% from 2012 to 2017. Sales revenue from those drugs increased $8.5 billion during that time, despite fewer prescriptions being written. Several senators have also introduced bipartisan legislation to prevent insurers and pharmacy benefit managers from using gag clauses to keep pharmacists from telling patients if their drugs would be cheaper if paid for with cash instead of using their insurance. Insurers, pharmacy benefit managers and pharmaceutical companies are all trying to shield themselves from blame, and insurers are attempting to do so by sharing the discounts it receives from drugmakers. Health insurers work with PBMs to negotiate drug discounts, or rebates, from pharmaceutical companies. Those discounts often don't wind up in consumers' wallets, though Aetna said it always passes rebates along in the form of lower premiums. Aetna's move to pass along rebates mirrors UnitedHealth's, which earlier this month became the first major public health insurer to announce it would let certain employer-sponsored plan members collect discounts at the pharmacy checkout, earning praise from HHS Secretary Alex Azar. UnitedHealth said about 7 million plan members would be affected. Industry analysts expect other insurers and potentially self-insured employers to follow suit. "We have always believed that consumers should benefit from discounts and rebates that we negotiate with drug manufacturers," Aetna CEO Mark Bertolini said in a statement. "Going forward, we hope this additional transparency will encourage these companies to rationalize their pricing and end the practice of annual double-digit price increases." While experts have praised Aetna and UnitedHealth for promoting transparency in a very opaque segment of the healthcare system, there could be a downside. Leerink analyst David Larsen estimated that about 90% of drug rebates flow back to health plans, which use the discounts to keep health plan premiums lower. Passing discounts along to customers at the point of sale could mean health plans will need to raise premiums to make up for the lost rebates, he said in a research note. PhRMA, meanwhile, is pointing a finger at the health insurance industry through a new ad campaign meant to show how insurers are blocking patients from using coupons that could lower patient drug costs. Drugmakers' copay coupons cover all or part of a patient's copay as a way circumvent insurance companies and PBMs' efforts to lower drug prices. For instance, drugmakers will provide a coupon that will eliminate or reduce a patient's copay for a high-cost brand name drug, which will reduce the incentive for the patient to choose the lower-cost drug preferred by the insurer. PhRMA said insurers are blocking those copay coupons from being applied to patients' deductibles and out-of-pocket maximums. America's Health Insurance Plans—the insurance industry's dominant trade group—said the use of copay coupons drives up healthcare costs for Americans. "Despite PhRMA's attempt to divert the conversation away from list prices, the fact is that Big Pharma uses coupons to thwart generic uptake, mask enormous price increases, and pass the increased costs on to consumers and taxpayers," an AHIP spokeswoman said in an email.